Willie Pearl Stuart, 83, of Heath, Texas, passed away Monday, January 28, 2019. Willie was born February 7, 1935 in Malakoff, Texas. She grew up in Troup, Texas, raised by her parents Walter Willie Kirk and Virgil Estelle Fort Kirk. She met the love of her life Carol P. Stuart and married on August 10, 1979. 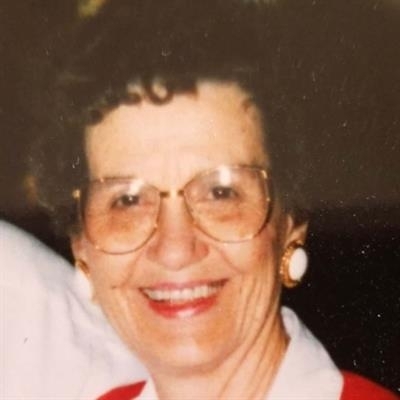 She was a passionate Dallas Mavericks / Dirk Nowitzky fan and Elvis music lover, as well as great cook. She also loved to collect thimbles from her travels and from loved ones. She is survived by her brother Jerry Kirk as well as her daughter, Linda Howe (husband Stan). Her grandchildren include Christopher Howe (wife Lisa), April Metcalf (husband Roy), Joshua Howe, Karen Howe (with the Lord) and Willanna Howe. Her great-grandchildren include Alexis Metcalf and Trenton Howe. She is also survived by her husband's children and several grandchildren and great-grandchildren. She is preceded in death by her parents, Walter and Virgil Kirk, and her husband, as well as her siblings Walter Luin Kirk, Virgil Fayrene Kirk Cole, W.C. Kirk, Clinton Kirk, Eugene Kirk, and Billy Wayne Kirk. Burial services will be held at 1 o'clock, Saturday, February 2 at Pine Crest Cemetery in Troup, Texas. In lieu of flowers, memorial contributions made be made to the .